We’ve been following the schedule of the actual event. 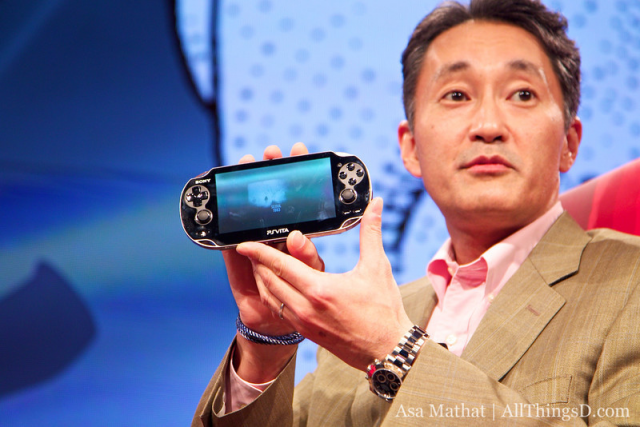 Up now: Sony’s Kazuo Hirai. Hirai is a key figure at the Japanese consumer electronics giant, which has been struggling to revive itself after dominance turned to years of decline; he is widely considered the second in line to CEO Howard Stringer. In an onstage interview with Walt Mossberg, the elegant exec, who was a longtime gaming exec at Sony, talked about the next-generation (but delayed) Vita game player, smartphones and Sony’s first Google Android tablets, which are now launching.